At the fair, we won a couple gift certificates to attend the local community center's "Jr. Picasso" painting class. It was a 1 ½ hour class and they provided everything we needed. Emily and I went together and had some fun. Neither of us were completely satisfied with how our paintings turned out, but they weren't bad considering that it was the first time for either of us painting other than watercolors. The final day is the wrap dress for Sarah. I also altered her dress to be an actual wrap dress. This day brings a wrap dress for Emily. I altered the pattern to actually be a wrap dress. The pattern had a zipper in the back and the wrap was sewn down. My next project was a shirt for Emily to go with her tier skirt. This is also from "Simplicity 4206: Sewing for Dummies". Next is a matching tier skirt for Sarah in her favorite color, blue. This is also from "Simplicity 4206: Sewing Patterns for Dummies", but I had to make a bigger size since my pattern didn't go big enough. The piece for today is a simple tier skirt for Emily in pink, her favorite color. ☺This is from "Simplicity 4206: Sewing Patterns for Dummies". It had a lot of instructions on just how to sew (since it's a 'for Dummies' pattern) that I had to skip. I started out Kids Clothes Week with a simple pair of shorts for Sarah that was already cut out. I was provided a free paperback copy of "Keep the Faith" from Zondervan for me to review through the Z Blog Squad. "The Berenstain Bears Keep the Faith" is part of the "Living Lights" collection published by Zondervan and "Help kids learn how God wants them to live every day". Brother and Sister Bear are playing with their friend Ferdy Factual when the subject of God comes up. Brother and Sister are puzzled when Ferdy says he doesn't believe in God. This leads to a discussion with their parents about why they believe in God. They go to see Preacher Brown to find out what faith is. My children enjoyed "The Berenstain Bears Keep the Faith". It is written by the son of the original Berenstain Bears authors, but before I saw that, I didn't even realize it was as it looks just like any of the other originals. I liked how this book discussed Biblical subjects in a way that kids could understand them. This book is geared for children ages 4-8 and I would recommend it for that group. 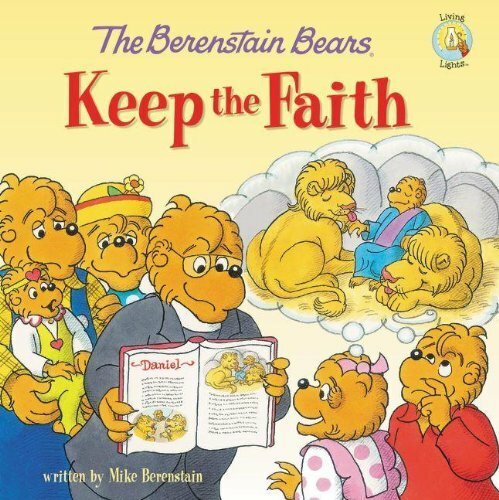 "The Berenstain Bears Keep the Faith" is available in paperback. I was given a free hardcover copy of "Pirates on the Farm" from Zondervans to review through their ZblogSquad program. 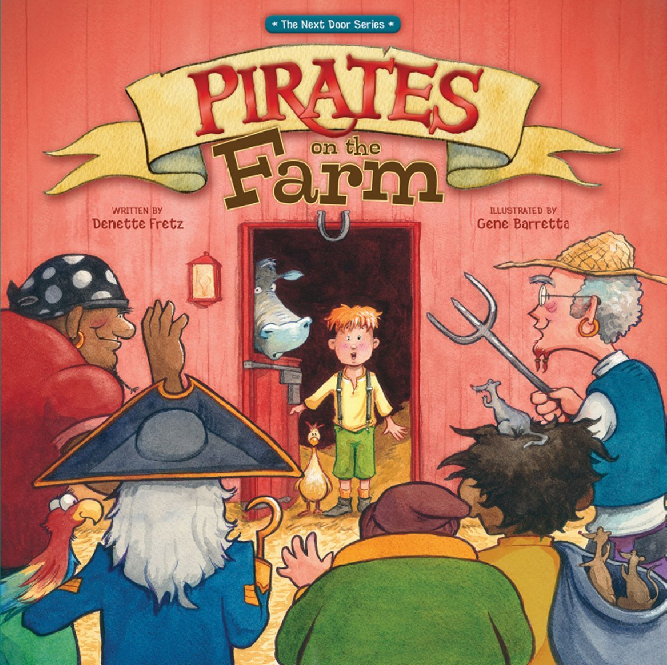 In "Pirates on the Farm", five pirates sell their boat to buy a farm. They don't know what they are doing and make many blunders, causing the townsfold to want to run them out of town. Will the pirates find someone to help them and teach them what they need to know? I thought that "Pirates on the Farm" was a cute and fun story. It is a modern day parable to help kids learn about loving their neighbor. The illustrations are colorful and engaging for children. There is a list of "Seadog Definitions" in the back of the book as well as a "Parent's Letter" that gives ideas for discussion with your child about the book. The book is geared toward children ages 4-8 and I would recommend it for that group. We got a Groupon deal for tickets to ride the Coopersville & Marne Railway. We decided to go on my birthday. Notice my shirt? It says "Hug Me! It's my birthday". When we got off the train, the conductor asked if it was my birthday and then gave me a big hug! Every time they came to a road, they'd sound the horn. The boys didn't like that too much!